Provide comfort for the family of Colin Clark with a meaningful gesture of sympathy. Beloved Husband, Father, Grandfather and Dear Friend to those he has left behind. Pre-deceased by his son, Steve Clark and succeeded by his loving wife Lesley June Clark, son Daren Clark, daughter in-law Jodi Arron, and grandson Jack Harrison Clark, Colin will be forever missed! 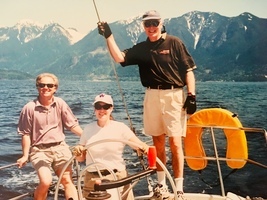 Having emigrated from the UK to Canada at an early age, Colin embraced the West Coast as his home. 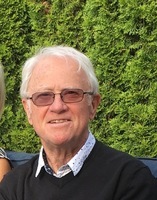 As a driven entrepreneur and family man, Colin ran his own hair salon in Dundarave, West Vancouver, named “The Londoner”, for many years. Raising two children with his wife Lesley, he enjoyed an adventurous life here with winters in the mountains, and summers on the ocean. A true pioneer and Larger than Life personality, Colin always left a lasting impression with whomever he came in contact. We miss and love you dearly, dad! May you rest in peace and have strong winds and effortless powder days wherever you are! Love always and forever, your family. 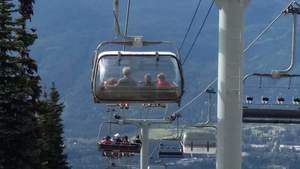 Complimentary lift tickets to all attendees will be handed out at the base of the gondola starting at 1:15 PM that day. The event is open to all family and friends. We encourage you to share your most beloved memories of Colin here, so that the family and other loved ones can always see it. You can upload cherished photographs, or share your favorite stories, and can even comment on those shared by others. Lorna Mochinski sent flowers to the family of Colin Clark. Colin, for 53 years we have known you and we feel very blessed to have had you in our lives for so long. You and Lesley have always been there for us since the very first time we all met. You were both in our wedding party 50 years ago and have always been part of "our family" in Canada. We have had so many fun times along the way, we were all so young when we came to Canada and were all out to conquer the world. Also over the years there have been sad time as well and we have helped each othere get through them. We will miss you so much Colin, you have left a big void in our lives. Keep watching over us from up there and remember you will be in our hearts forever. Love always: Pam and Terry. Dear Clark Family: Colin we have had so many wonderful times with you over the 50 years since I met you the first day of my arrival in Vancouver. Remember those Summer Sundays when we would all gather at the beach from 9:0 am - 6:0 pm ... what fun we had. Then when you and Les moved to W. Van. and the great parties you both had for all your friends. 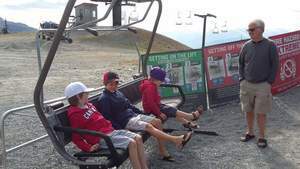 Picnics, sailing and of course those perfect ski days at Whistler and you were always the best coach to us all. We loved following you down the runs, trying to ski just like you, but of course NO luck. Tony and our 3 sons, Andrew, Steve and Austin have so enjoyed your friendship over the years and we will miss your like crazy. We look forward to being at your Celebration of Life to totally celebrate YOU, a great guy with a wonderful smile and sense of humour.